This block of buildings at the southeast corner of Carson and Second Streets were Carson’s old guards. They dated back to the early frontier days of the town, and actually appear in one of the very first photos taken of Carson City, this one from 1863-65. 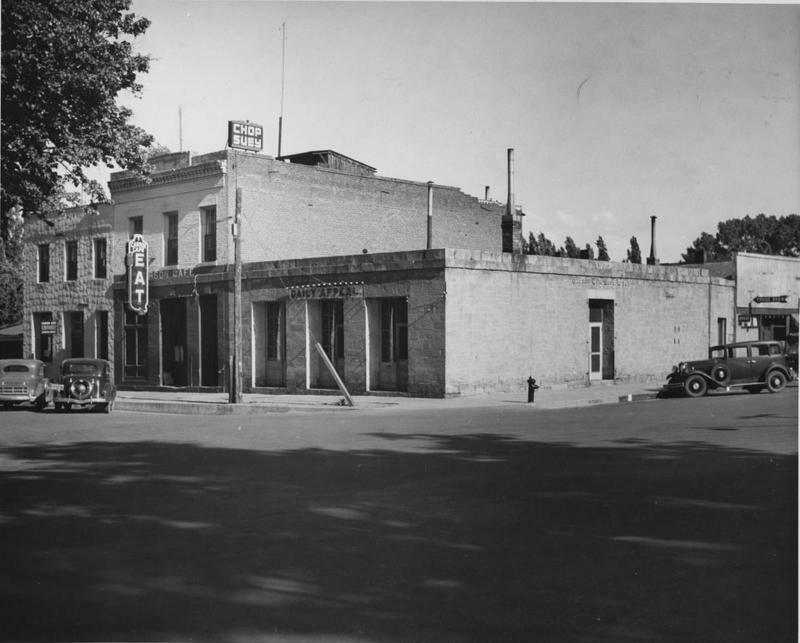 In 1935 they were still standing, across the street from the Capitol Building to the left and the old Ormsby House to the right. The low building at the corner housed the Carson Daily Appeal, the town’s daily newspaper. It had been there since its first printing in 1865. It later moved into larger quarters and was renamed the Nevada Appeal. It is still going strong today. Next door is the Carson Cafe, with a big “EAT” sign by the street and a “Chop Suey” sign on the roof. This sleepy corner was devastated around 1970, when it was all demolished to build the Plaza between the Capitol and the new Legislative Building. A great loss to Carson’s history. Of course, ten years earlier a proposal to demolish the Capitol itself was tossed around, so people at that time had little regard for history. Perhaps if they had held on for just a few years longer, these buildings might have caught the wave of preservation that started to cover the nation in the 1970s and 80s. Can you imagine these three buildings still standing in the Capitol Plaza, maybe housing a museum, maybe housing a gift shop or other stores? 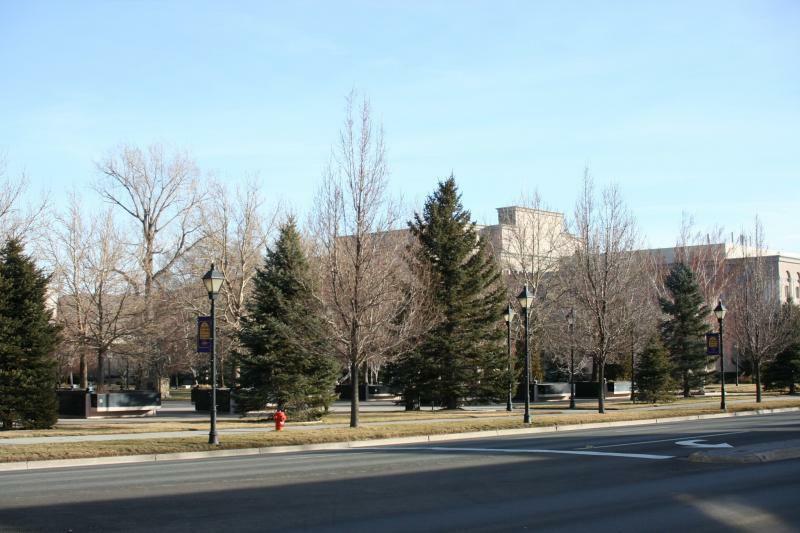 They could have provided a tangible link to Carson City’s early days, along with other existing buildings like the St. Charles and the Sweeney Building. Instead we’ve been given what we have now, a wide empty expanse between the Capitol and Legislature punctuated with a few scattered trees and planters. Not that the plaza isn’t a great public space, but it could have been so much sweeter.